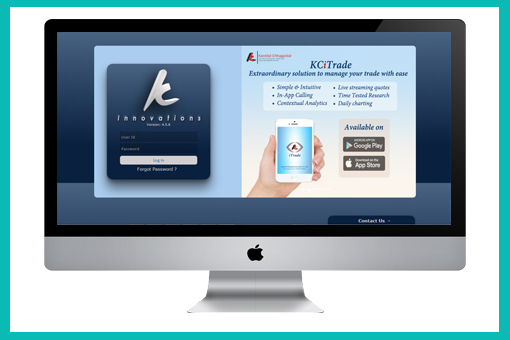 Single login for KCInnovation & KC BackOffice. Separate Interactive Dashboard for AP & clients. Access to Statements like Ledger, Profit / Loss (Short Term –Long Term), Holding, Position, Contract Notes, Bills, Trades, Transaction etc. Funds Withdrawal & Funds Receipt. Click Here to visit KCInnovation.